Long Buckby is a great place to live, especially if you commute via rail or the M1 – and the arrival of a new Jelson Homes development of three- and four-bedroom homes makes it an even more attractive proposition. The sales office at Mountcroft in Station Road opens this weekend and initial interest from would-be purchasers is expected to be high. Situated on the outskirts of this popular village, close to Long Buckby station and its direct services to London Euston, these new homes look set to appeal both to commuters and those living and working locally. Like all Jelson homes, the houses at Mountcroft are traditionally brick-built, with a high standard of insulation and solid internal walls to the ground and first floors. All homes are designed for family living, with lots of space indoors and outdoors, and have fitted cloakrooms downstairs and en suites to the master bedroom. The three-bedroom semi-detached Bunting home offers elegant three-storey living, with the master bedroom away from it all on the top floor. If you’re looking for a three-bedroom detached, the Nuthatch is perfect for growing families. If it’s four bedrooms you want, you have a choice of five designs at Mountcroft. The four-bedroom Shearwater, Swaffham, Kittiwake, Wagtail and Egret are all amongst Jelson’s most popular home designs and it’s not hard to see why. All are elegantly proportioned, with a host of thoughtful touches built in, including a separate utility room in most designs. The Shearwater’s large dining kitchen and additional dining room makes it ideal for entertaining and flexible living. The Wagtail offers a cosy downstairs study and an additional en suite to bedroom two, making it ideal as a guest bedroom; and the Egret has a spacious kitchen/family room opening onto the garden, a separate living room and study.  Jelson is a family business and has been building homes in the East Midlands for nearly 130 years. In that time, it has built an enviable reputation for quality and craftsmanship. 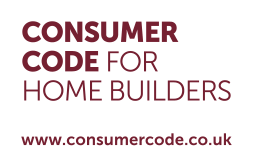 Unusually for a modern housebuilder, the company still employs its own joinery, plumbers and electricians, along with long-serving staff who know the region well and have an excellent understanding of what local homebuyers are looking for. Mountcroft is off Station Road, Long Buckby, Northamptonshire NN6 7QA and the sales office will be open from 29th June, from 11am – 5pm on Friday to Monday. For more information visit jelson.co.uk/longbuckby or call 0116 214 7759.